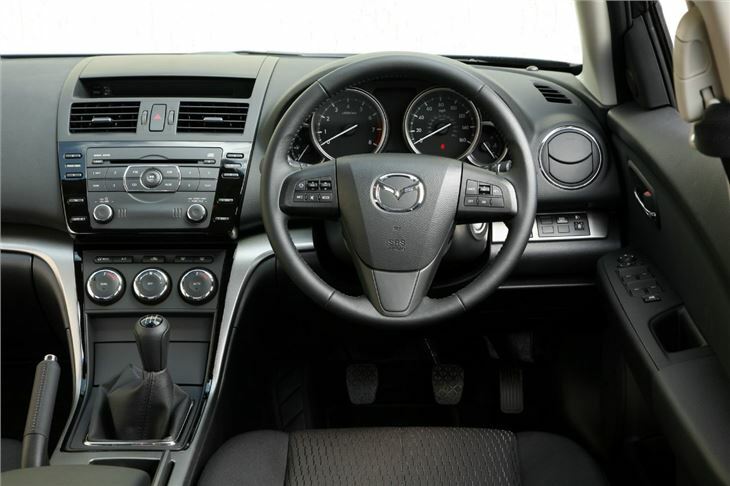 Neatly styled, entry-level models a good balance of ride and handling, excellent 2.2-litre diesel engine. Saloon version not popular, DPF problem with 2.0 diesels can lead to engine failure, No spare but full size spare available at £70. This is a tale of two cars. On the one hand we have the entry level Mazda 6 1.8S, coming in at a very reasonable £15,100 on the road. On the other, we have the BOSE audio, leather-trimmed 2.5SL at a considerably heavier £20,680. Actually "heavier" is the wrong word. 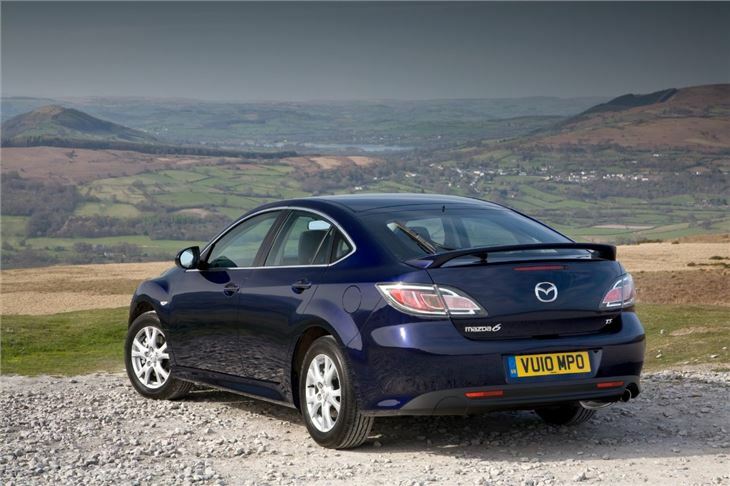 Because all new bigger, better Mazda 6s weigh in at an average 35 kilos lighter than the old car. 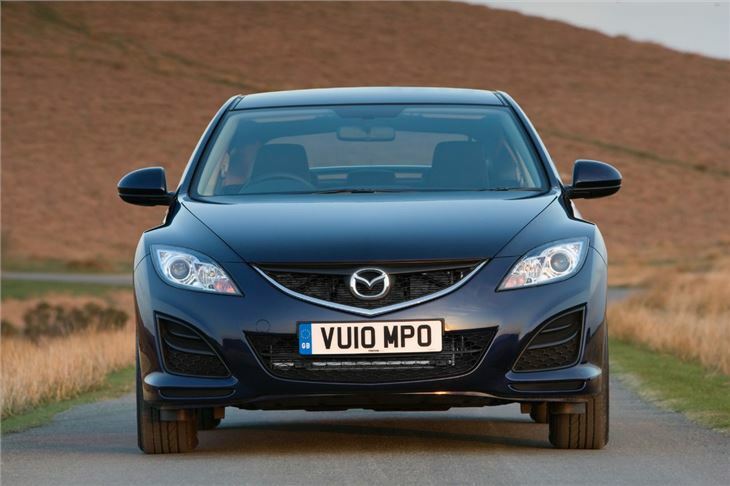 As with the new Mazda 2, the company has stopped eating all the pies and is thinking along the same lines as a supermodel. 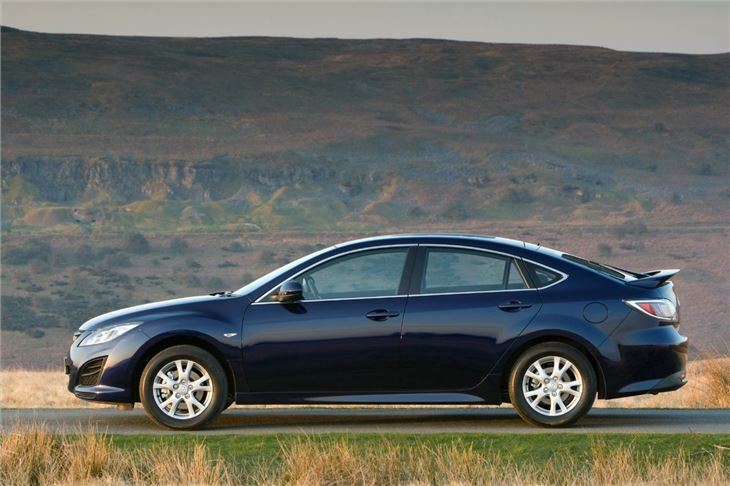 As well as more car at less weight it's also more streamlined. Little touches, including a gizmo that looks like a horses hoof in front of each of the front wheels, cut drag down to a very impressive Cd 0.27. 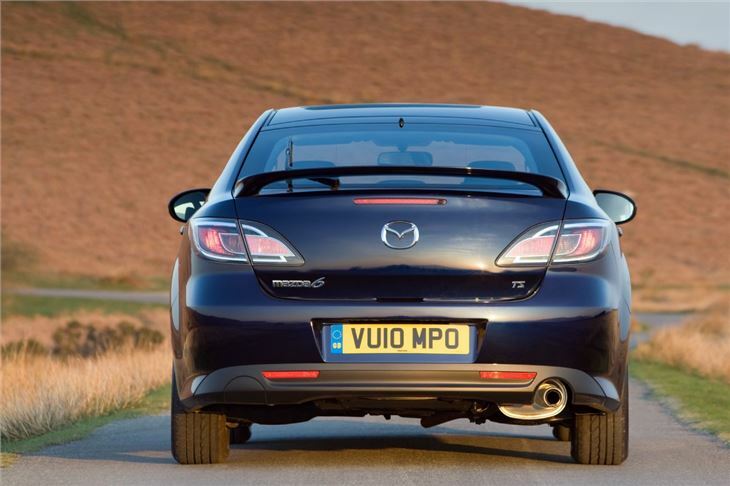 That makes it quieter and more fuel-efficient which in turn means it emits less CO2 so you pay less tax, whether you're a private motorist or a company driver. 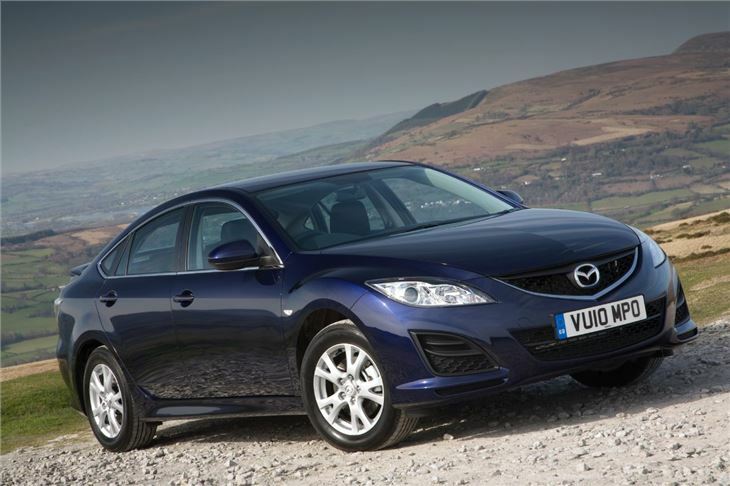 One of the factoids Mazda was keen to impress on us was that whereas the previous 1.8i meant you were taxed on a BIK of 24% of the car's list price, the new 1.8 comes in at 19%. 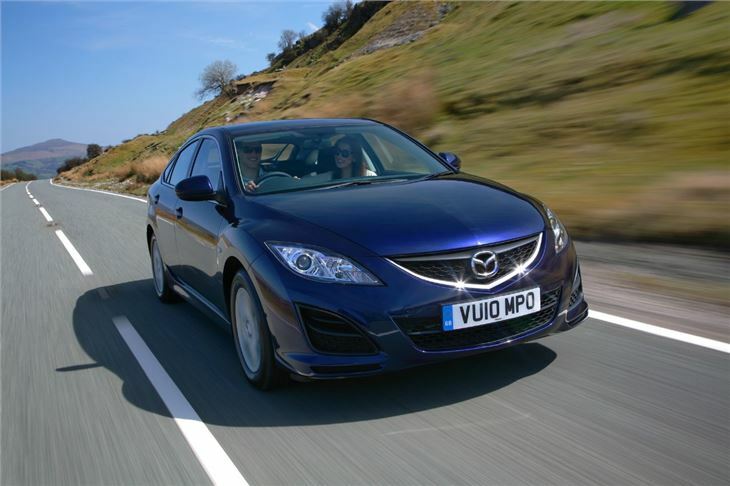 And, though prices are slightly up (balanced by a lot more kit on each model), they reckon the average company driver will pay £20 a month less for more car, whether they go for the 1.8i or the 2.0 litre diesel. DO NOT BUY AN S. Opt for the better equiped TS.